New from Glo Professional comes Cyto Luxe Toning Mist and Light Moisture. Clinical skin care created to target an individual's specific skin care concerns. I was sent two of their newer products to try. glo therapeutics delivers personalized and professional skincare solutions by incorporating daily regimens with targeted treatments. Utilizing innovative technology and cutting edge research, our formulas are designed with potent concentrations of active ingredients to clinically transform the skin. Simple, elegant white or frosted double walled and brushed silver packaging looks luxe on any dressing table or bathroom counter. Delivery is via a fine mist spray and a pump, providing for sanitary dispensing and protecting the effectiveness of the products within. With such ingredients as Hyaluronic Acid, Glycerin, Cucumber, Coconut Water, Coconut Fruit Juice and Papyrus Leaf Extract this soothing Cyto-Luxe Toning Mist is just the loveliest thing to mist on the face after cleansing and before application of serums and moisturizer or to set my face makeup. May I just say, I am obsessed (a word I don't use often) with this Toning Mist? 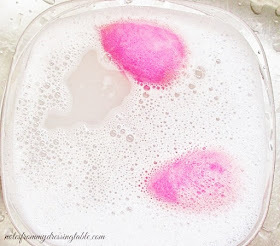 The light, herbal, lavender scent is intoxicating and the active plant ingredients make my skin feel softer and refreshed. If you are sensitive of skin or dislike scented products, this may not be your cup of tea as it contains several essential oils, including lavender. 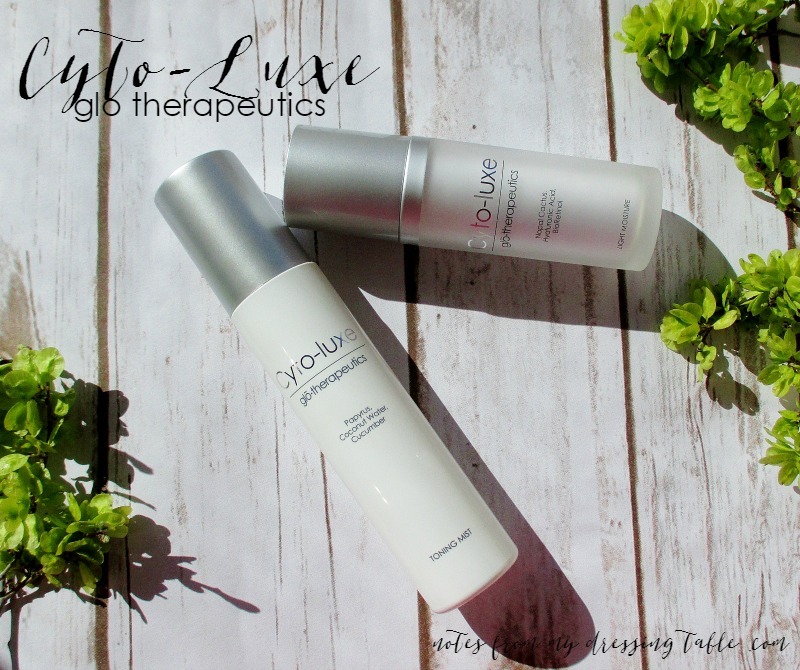 Cyto-Luxe Light Moisture combines light oils, Coconut Water, Coconut Fruit Juice, Cactus Leaf Cell Extract, Plant Squalane, Glycerin and Hyaluronic Acid into a silky, lightweight formula that drops into the skin to hydrate, balance and impart a youthful radiance. This moisturizer is a little light for my very dry skin for bare skin days or overnight but it is gorgeous under makeup, especially when I am using my favorite moisturizer/Cover FX Custom Cover Drops combo. Talk about happy, glowing skin! 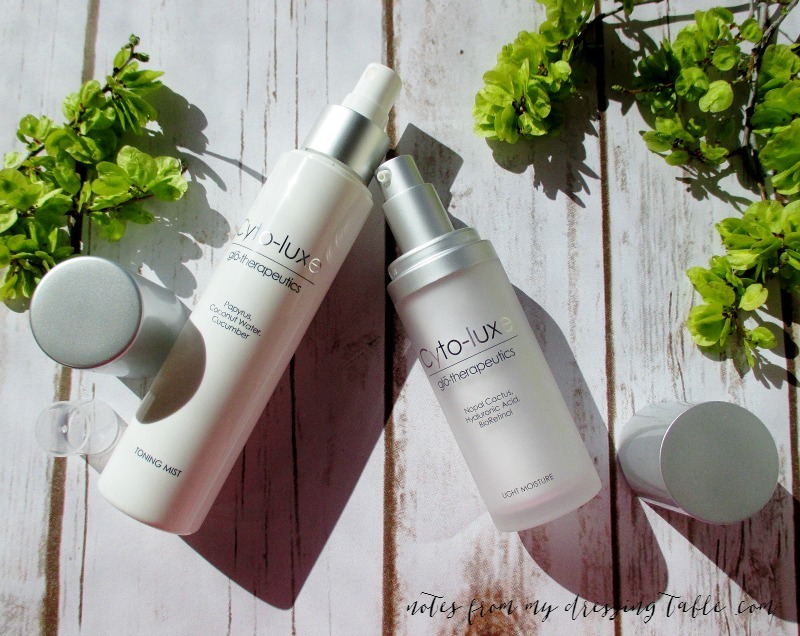 Sensitive beauties and those who don't appreciate fragrance in skin care need to know that Cyto-Luxe Light Moisture does have a light, herbal/orange scent and contains several essential oils, including lavender. 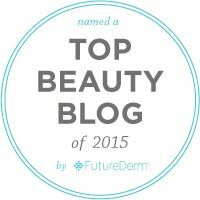 There is no SPF (yay!) so be sure to wear your favorite sunscreen. Glo Therapeutics Clinical Skin Care is formulated to be effective with live plant extracts and concentrated active ingredients. They are paraben free and cruelty free. I like these skin care products. I can't get over how much I love the Toning Mist. I guess that is how to get me to use toner. Package it in a beautiful bottle with a very fine mist spray pump and turn me loose. I could wish that the Light Moisture were a bit more hydrating but that's just me and my dried up old hag face talking. I feel that this is good, worthy skin care and I recommend it. I would like to further explore this skin care line and I'd love to try their Mineral Makeup, as well. Have you tried Glo Professionals? What are your favorites?